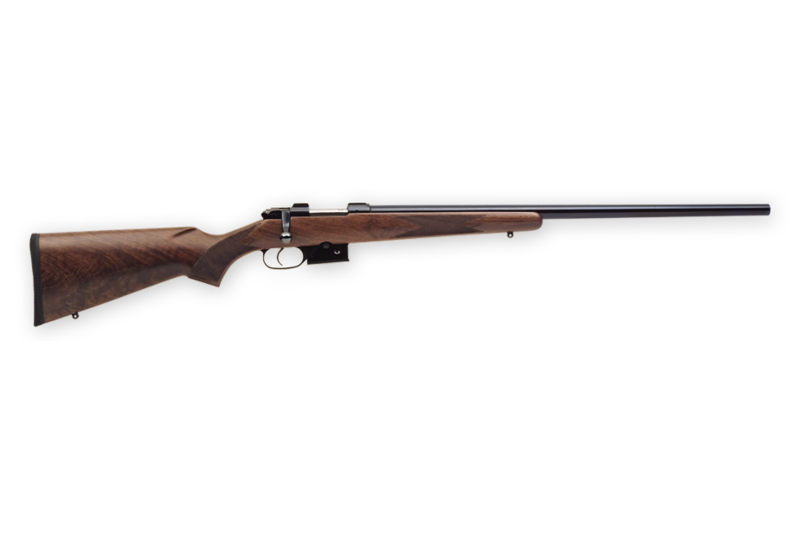 The Varmint retains all of the features that made the 527 famous, from its controlled round feed and claw extractor to its single set trigger and hammer forged barrel. Scope mounts are integrated into a forged, square bridge receiver (rings not included), and the rifle comes with a 5-round detachable box magazine. The CZ 527 Euro Varmint has a heavy 25.6 inch hammer forged barrel in the European varmint profile, which tapers directly after the chamber and then runs as a heavy cylindrical barrel to the muzzle.